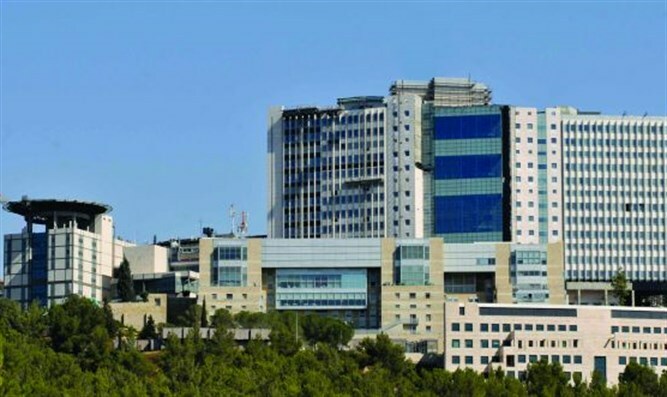 Hadassah Ein Kerem doubles ability to treat heart patients with new state of the art Irma and Paul Milstein Heart Center in Jerusalem. In the presence of Deputy Minister of Health Yaakov Litzman, National President of Hadassah, the Women's Zionist Organization of America Ellen Hershkin, Director General of Hadassah Hospital Prof Zeev Rotstein, Howard Milstein inaugurated the Irma and Paul Milstein Heart Center in Hadassah Ein Kerem, Jerusalem in honor of his parents. The new center occupies the entire third floor, 4500 square meters, of the Sarah Wetsman Davidson Hospital Tower. It makes use of the world's most sophisticated medical technology and more than doubles the department’s previous capacity to treat heart patients. This includes 11 intensive care private rooms plus 11 post-catherization beds and another 32 beds in the cardiac ward. Irma Milstein is a member of Hadassah, the Women's Zionist Organization of America. She and her late husband Paul, from New York, earmarked their ten million dollar donation for the heart center. Howard Milstein, an American entrepreneur and real estate developer and his wife Abby Milstein attended the dedication ceremony, with a large delegation of American Hadassah supporters and Israeli health leaders. A direct pathway brings patients with heart attacks to the catheterization labs without the need for processing through the emergency room. Giant high resolution screens connected to the imaging equipment display all of the patient's vital data at once. The catheterization labs include one room that operates a bi-plane system providing three-dimensional imaging of the heart from two cameras at the same time. Said Lotan, "Our experts use these imagines in real time for maximum accuracy. In a hybrid room, we can switch from catheterization to open heart surgery if necessary without moving the patient and losing valuable time. The 2019 dual-camera system is among the first installed in the world. There are inner-aortal cameras and numerous other technological advances that were considered science fiction not long ago. " Complementing the technological advances are new and spacious conditions, comfortable for patients and their families. In addition to monitors, doctors and nurses will be able to see patients through a closed-circuit video system. Irma and Paul Milstein, whose generous contribution enabled the establishment of the center, have long contributed to health and medicine. In addition, the family supports education, the arts and scientific research in New York and in countries abroad, including the Milstein Building at Columbia Presbyterian Hospital in New York. The Milsteins value the combination of research and treatment that is the hallmark of Hadassah Medical Organization. Howard Milstein said at the event: “My father, Paul, Of Blessed Memory, and my mother, Irma, saw Hadassah’s mission statement as the highest expression of the founding ideals of the State of Israel: to forge ‘links between patients of all nationalities, races and religion who come to its doors for healing.’ Here at Hadassah, all patients – Jewish, Christian, Muslim, Druse, secular and religious – receive dignified care from a top flight team of equally diverse medical workers. As such, Hadassah is also a bridge to peace. If you need proof of that, look no further than the Syrian children who, in the midst of a horrific humanitarian crisis, have been brought to Hadassah for treatment of congenital heart defects. The Milstein family resonates with that. We, too, are engaged in supporting a multi-faith effort to alleviate the Syrian crisis.